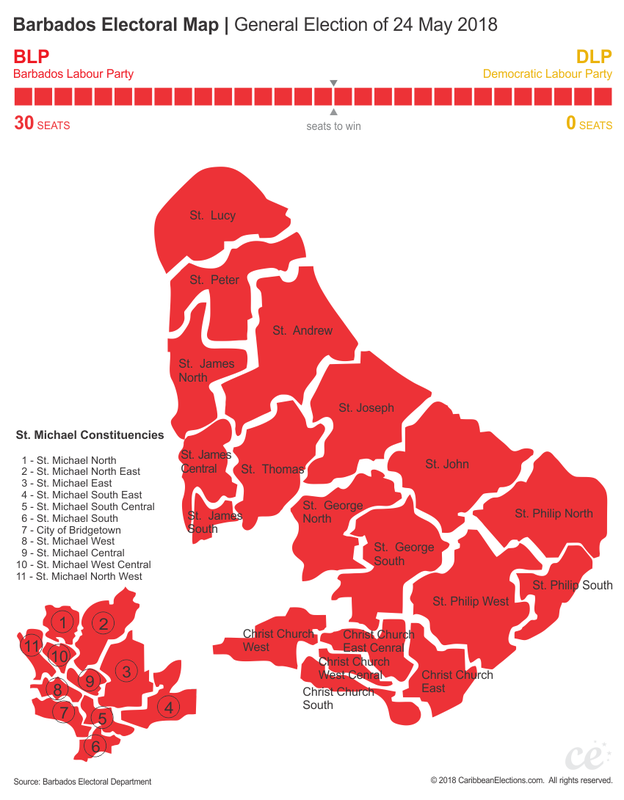 Barbados is divided into 30 electoral districts or constituencies. Select a constituency to learn more about the candidates and the constituency itself. After Barbados was settled by the Kingdom of England, a House of Burgesses was established to conduct the business of governance in the colony along with the Governor. From an early date, if not the beginning, there were two members of the House of Assembly for each parish; in 1843 two members were added for Bridgetown, bringing the total to 24 Members. In 1971, dual representatives for each constituency were abolished in favour of single seat ridings and the entire island was divided into 24 constituencies. In 1981, three more constituencies were created; thus bring the total to 27. By the election of 1991 a 28th was added, and finally ahead of the 2003 general election two more were added bringing the national total to 30.